Bethany is our in-house designer, marketer and “idea” person extraordinaire! She calls herself a “minimalist”, but her personality is anything but minimal. She’s a pop culture and history enthusiast and can find anything on Google if you give her a challenge. She’s our most chill person of the bunch, but gets ultra jazzed whenever she gets to be creative, sees a cat, or plans our next Gamer Guild event! Outside of the guild, Bethany is a consumer insights/research strategist, writer and designer. Kelley is Wilton Cake Decorating certified, an experienced custom longboard designer and manufacturer, and dreams of one day being a contestant on a reality crafting competition show. Her hair color is always changing, but her love for boardgames never does. 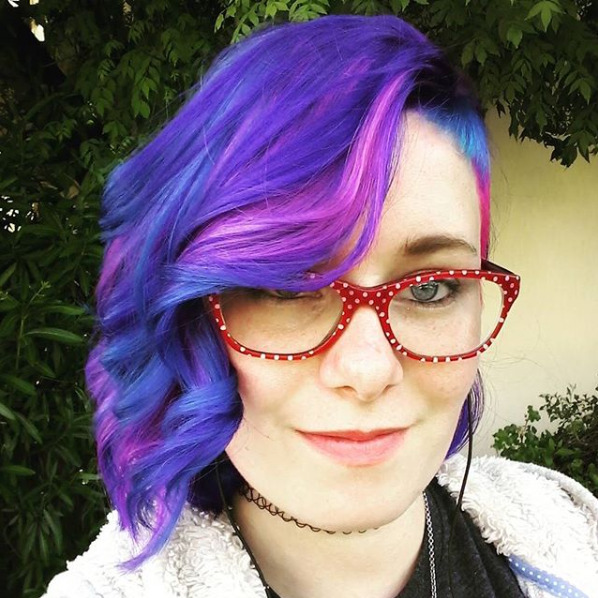 She currently works at the children's videogame platform Roblox as a Build Release Engineer. My most prized possession is my Ideas Book; a laminated portfolio filled to the brim of my own custom created Idea Sheets. After my first successful company at age 18, I knew entrepreneurship was my passion. Since then, I have founded many companies and worked towards my ultimate dream of empowering others through education.